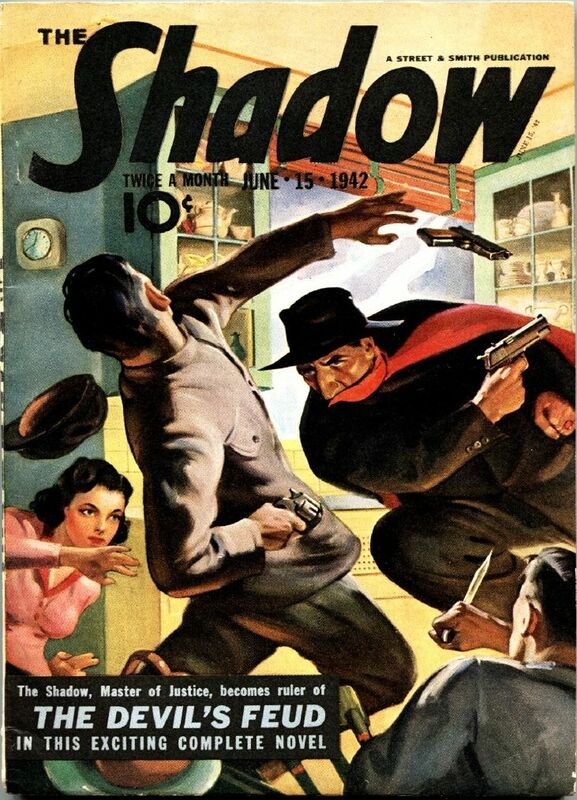 The SHADOW covers are all by GEORGE JEROME ROZEN, Jerome George Rozen’s twin. 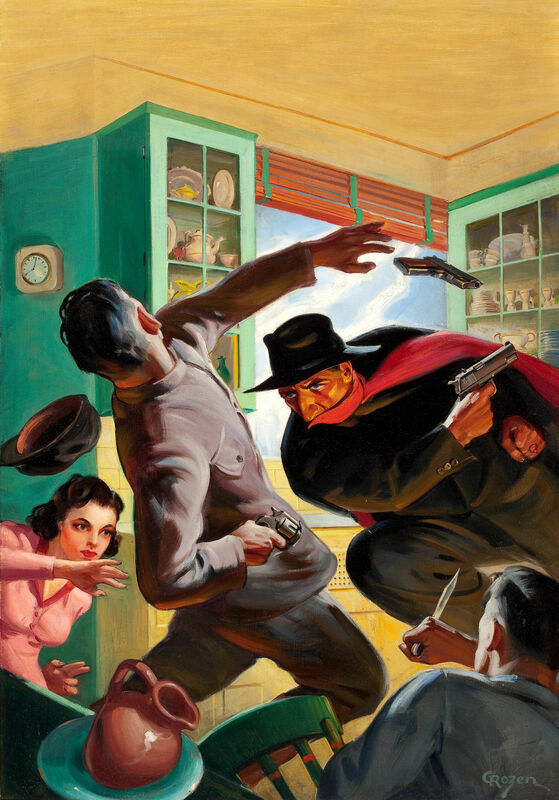 Jerome did a few of the very first Shadow covers, but was replaced (after a serious car accident) by his brother George, who became THE Shadow artist. Jerome did do the YEN SING and WU FANG covers.